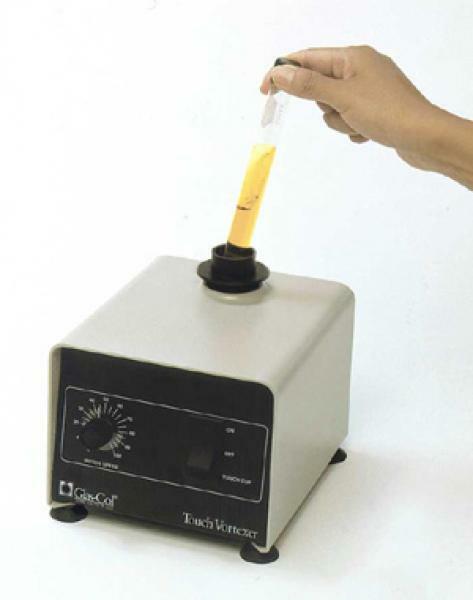 The Touch Vortexer mixes test tube contents thoroughly and quickly with a vortexing action that swirls the liquid. The unit may be set to run continuously or to activate when any tube up to one inch is touched to the cup. Designed with a permanent-magnet, filtered DC motor, the Touch Vortexer will run coolor with less motor stress. The variable-speed motor produces constant power and is less susceptible to overloading when excess pressure is applied. 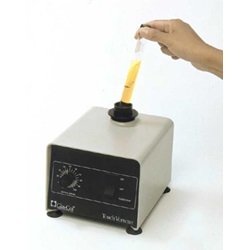 The Touch Vortexer is one of the most durable, user-friendly small vortexers available today.